Kyoko (Sakura Ando) works as an insurance agent. To regain her family's happiness, she becomes involved in a relationship with her boss. Because of that relationship, she is blamed by her family and has to leave her hometown. Shuichi (Tasuku Emoto) killed his drunken father to save his mother. 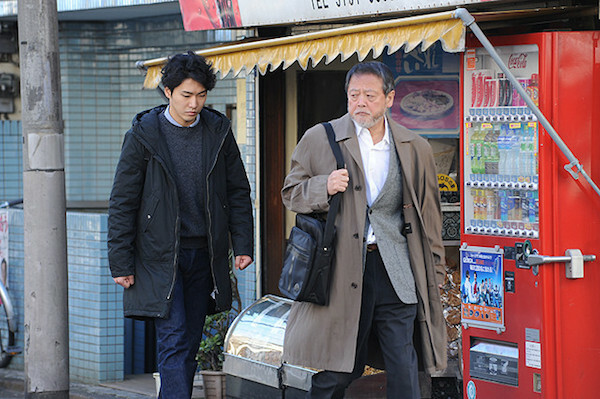 After he is released from prison, he begins to work at a small factory in Tokyo. Kyoko and Shuichi, who both left their hometowns, begin to live in Tokyo, but they face the after effects of an unprecedented earthquake and tsunami. Sakura Ando and Tasuku Emoto are married, while director Eiji Okuda is the father of Sakura Ando and father-in-law to Eiji Okuda.